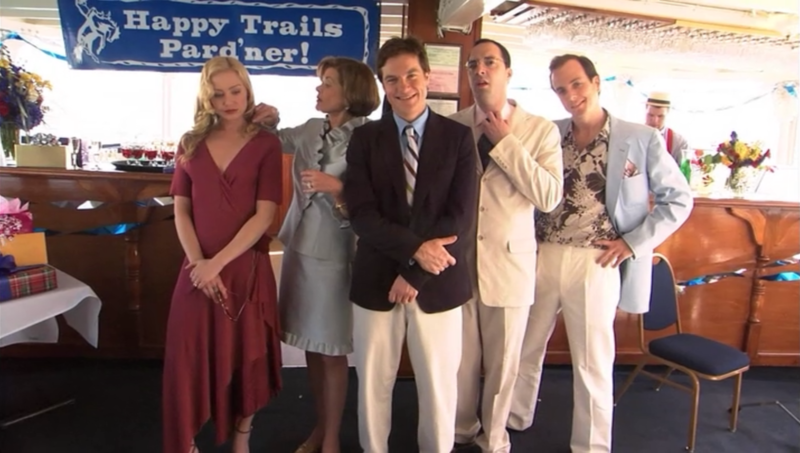 Bluth Family (minus George Sr.) throwing an elaborate event on a yacht. 1. Keep personal expenses to a minimum. Invest in your idea, and those that can help you build it, if you really want to see it through to fruition. Just know that your “investment” may come in the form of personal sacrifices. 2. Face your fears head on, don’t let them hold you back. Baby Buster, the youngest of the Bluth siblings, coddled by his parents and taught to fear everything outside of the safe and comfortable environment they’ve kept him in gradually becomes bold and daring. He goes for a bicycle ride — outside, in the sun! — joins the army, and even braves a dip in the ocean (which ultimately results in a new fear of a certain marine mammal). Buster enjoys a bike ride in the sun, shows off his “army awards,” and takes a dip in the ocean. You may have many fears about starting a new venture. Fears of taking the plunge. Fears while your startup is in its infancy. Fears when you start running out of financial runway. You may even have fears as your dream is being realized, growing and flourishing in the summer sun of success. Fear is normal. Fear can even be important. But you will need to face those fears openly and honestly if you hope to advance and mature as an entrepreneur. 3. Embrace your problems & look for solutions. 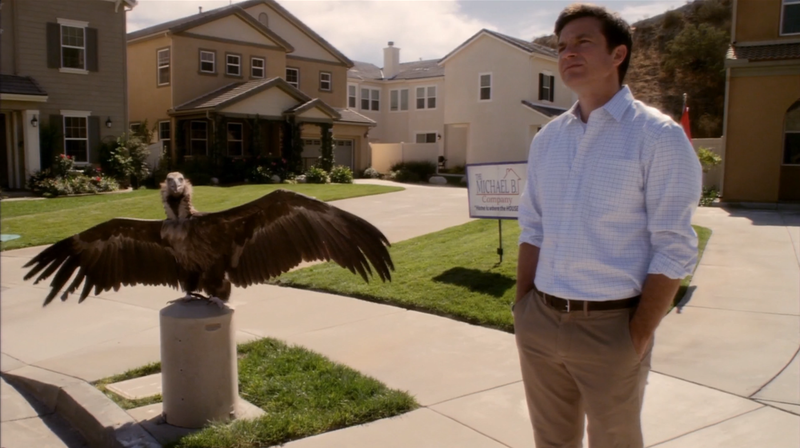 A running gag on the show is Michael Bluth attempting to flee to Phoenix to avoid dealing with all of the issues of his family. 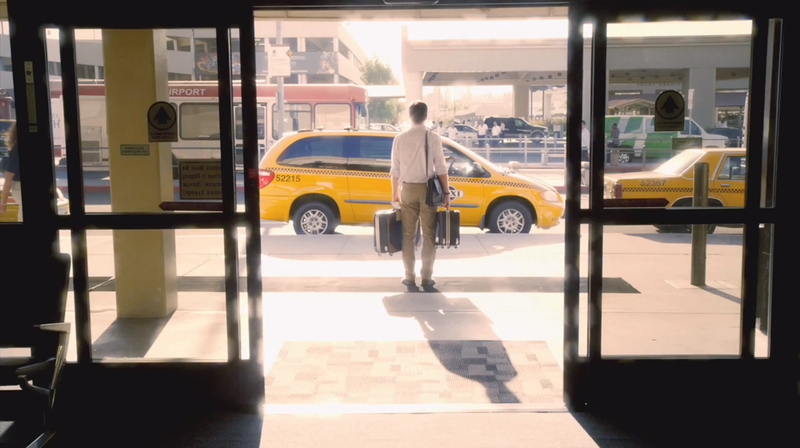 Ultimately, something always brings him back before he gets very far and the family doesn’t even notice he’s been gone. Michael finally arrives in Phoenix. The point here is that you cannot run away from the problems and obstacles that crop up. You have to recognize them and work hard on solutions to overcome them or work around them. 4. Set your own measure of success. 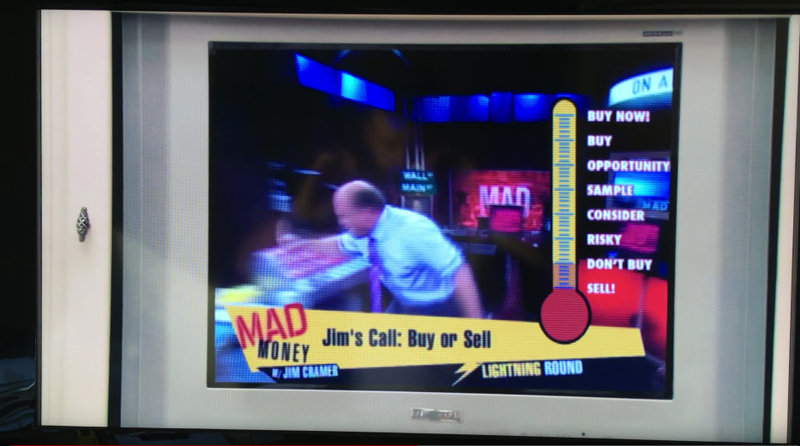 The Bluth company is toxic, the CEO is in prison for defrauding investors, their housing development is a wasteland, their stock is labeled “sell, sell, sell!” For Michael, having the stock get bumped from triple “sell” to “don’t buy” is a huge and welcome victory. In the startup world (and in pretty much everything) you need to define what “success” means for you. What does it look like for you personally? For your product or idea? Ignore everyone else’s ideas of what shape your success should take. 5. Follow your dreams, you never know where you’ll end up but it will definitely be interesting. Ah, Tobias Fünke. A dreamer if ever there was one. 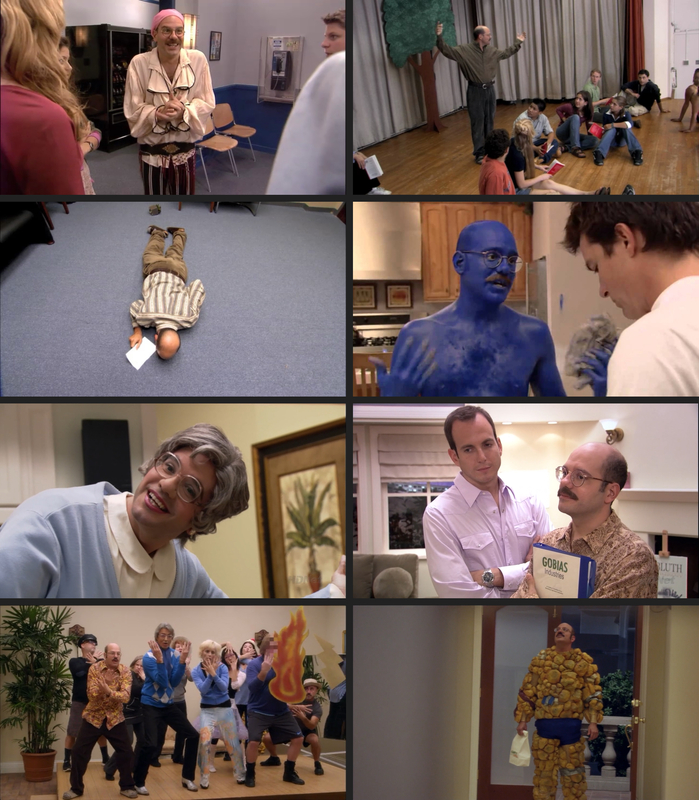 Tobias goes from makeshift pirate, to wannabe actor, to school play director, to Blue Man Group enthusiast, to Mrs. Featherbottom, to Gobias Industries cofounder, to writing and directing “Fantastic 4: An Action Musical.” And so many other things along the way. Bottom line: he follows his dreams—with reckless abandon! It is difficult. You are not likely to succeed on your first try, or maybe even within your first year of trying, but you have to keep at it. What’s that old adage? “Nothing worth having comes easy.” It’s been repeated generation after generation because it is true. Dreams take patience, endurance, and hard work. 6. Ship early, but not too early. 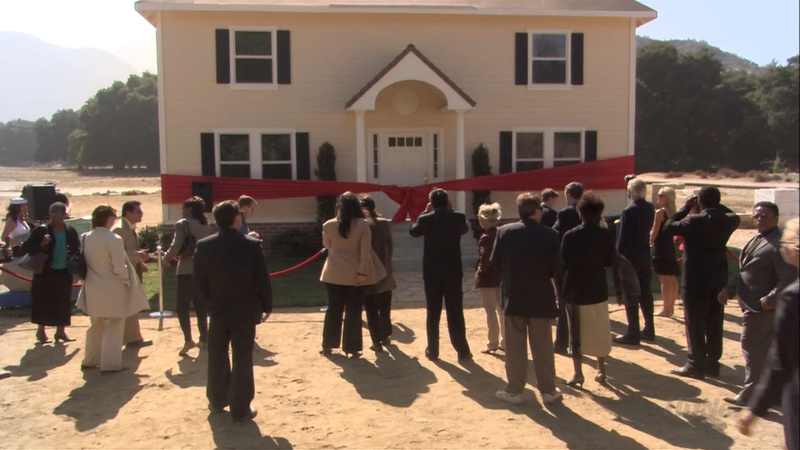 The Bluths build a house. You’ve got to build something. You have to release that something to actual people, ideally people from your target market—people willing to pay you for it. You need their feedback. You need to know what the process is like. This step is absolutely critical and the lessons learned here are incredibly invaluable. However, you should not release something so early that it falls apart, fails fantastically, and earns only scoffs and jeers. You can release a prototype, but make sure it’s a solid prototype. You can release a beta version, but make sure it’s a solid beta. What you don’t want is to have the facade of something super awesome and complete and robust and shiny and magical if you’re just not at that stage yet. You will only let people down. …and it promptly falls apart! 7. Don’t be discouraged by having to rebuild from time to time. The famous “Bluth’s Original Frozen Banana” stand. Another one of life’s timeless maxims is: “Stuff happens.” You will inevitably have to rebuild your product—sometimes just parts of it, sometimes the entire thing. While this often carries with it an immense amount of stress and trepidation, each time you are forced to rebuild is an opportunity to do your best and a measure of how far you’ve come already. 8. Be a positive leader even when things aren’t going your way. 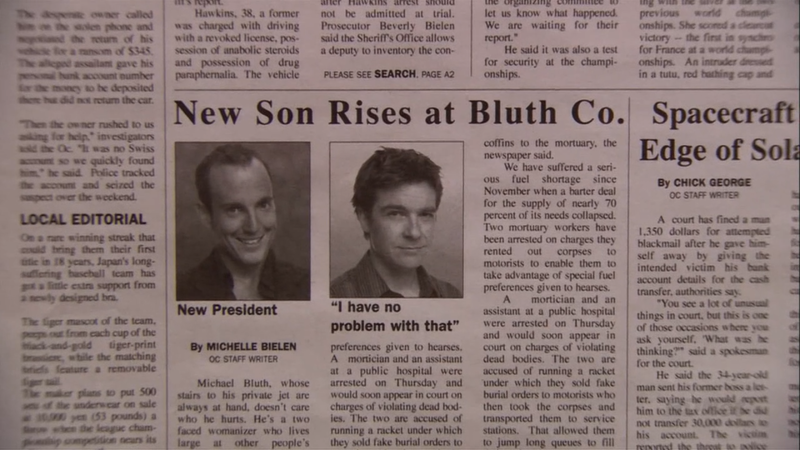 Michael Bluth is probably the best pick of the Bluth bunch (get it? 🍌) to actually revive their business’ image and make it profitable. Sure, he definitely has his own problems and he’s far from perfect, but as far as understanding what’s good for the business, he’s the only logical choice. Unfortunately, nobody else in his family seems savvy to their true need. After being overlooked time and time again, Michael adopts a somewhat sincere mantra of “I have no problem with that.” He keeps working hard to improve his own image by saving the family business. The lesson here is to maintain positivity and focus, even in the face of adversity and less-than-stellar situations. A good leader always leads by example, and that includes setting a tone of positivity and a can-do attitude. 9. Celebrate every victory & milestone. When you’ve worked really hard, pulled long nights, crushed it on the weekends, and poured your blood, sweat, and tears into something, it’s important to let loose and take a moment to recognize and celebrate your accomplishments. 10. But don’t count each little victory as a finish line. Back to Michael’s victorious “Don’t Buy!” moment. A victory worth celebrating but definitely not a finish line. The rest of his family start dreaming of selling their company stock to feel rich again. Michael walks into the office to celebratory chants of “Don’t Buy! Don’t Buy! Don’t Buy!” and one of the show’s recurring banners makes a customary, ironic appearance. Yes, celebrate the victories, no matter how small, but do not let a victory fool you into thinking you’ve crossed some imaginary finish line. “Mission accomplished” is extremely rare in the startup world. Things are ever-moving, ever-changing, ever-evolving, and you’ve got to be right there keeping pace with them all and innovating your way ahead of your competition. 11. Find your audience/market before going all in on a final product. Eventually Michael is able to complete a housing development that for so long was simply a single model home and a bunch of dirt. Of course, Michael has to borrow $700,000 to do so and the housing bubble bursts leaving him in debt and with absolutely no market to sell to. He stands in the midst of the ghost town he built, broke and alone. You don’t want an expensive, digital ghost town on your hands. And you don’t want to end up having to bunk with your son in his college dorm room in Phoenix, right? Before you go all in on your idea, you’ve got to know that there is a crowd of people ready and willing to buy it. It doesn’t have to be a large crowd, but it should be a crowd—and not one completely comprised of your friends and family (unless what you have is really only valuable to them and they are definitely willing to pay your for it). Ideas are great. Side projects are fun. But if you’re looking to make a business—to make a living—at this, you need to make sure you have a market and that what you’re bringing to that market is marketable. Enough with the word “market” already—amirite? 12. Even serious professionals make mistakes. 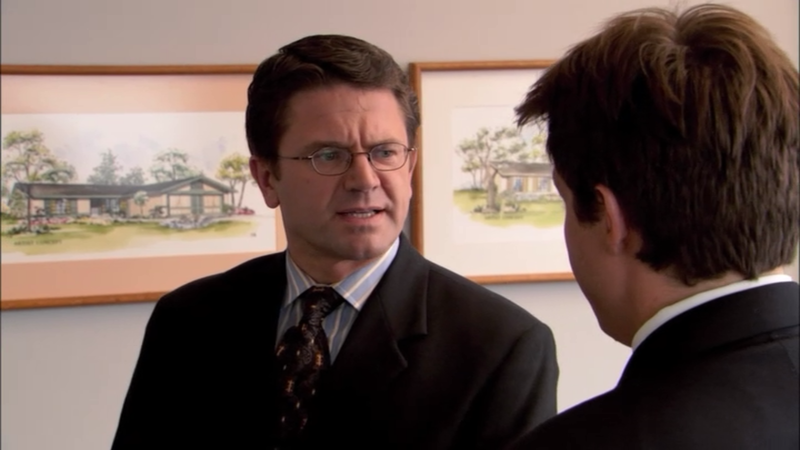 Michael and Lindsey decide to get rid of their notoriously inept attorney, Barry Zuckerkorn, and get a really great attorney, Wayne Jarvis, hired in his place. Their plan is to get Barry caught on a date with Lucille. Their plot goes all wrong, however, when Wayne shows up instead! Professional blunders happen. What’s important is how you handle them. Wayne, offered to hide behind a garbage bin (what a pro!) to avoid being caught. Just don’t think of mistakes as failures (remember, you get to frame what “success” and “failure” are for you). Each mistake is a lesson learned. Each mistake is proof that you are trying. 13. Magic isn’t really magic — it’s merely an illusion that something was easy and didn’t take tons of hard work. Everything takes work. Facebook takes tons of work. Twitter takes tons of work. Slack takes tons of work. Whatever it is that you’re working on or thinking of starting, it will take tons of work. Nothing is easy. Nobody simply lucks into a huge successful company. Nobody is going to hand you “success” on a silver platter. So, put in the work! Make your dreams happen.